Johnny Reb is a series of Miniature War Game rules for simulated combat in the American Civil War. The rules author is John Hill. The Johnny Reb Rules have been released in three versions. 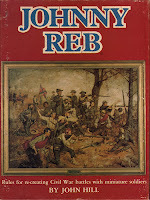 Johnny Reb (often referred to as JRI) was released in 1983 and published by Adventure Games. It was subsequently updated, modified and enhanced in 1988 and released as Johnny Reb Two (often referred to as JRII), published by Game Designers Workshop. 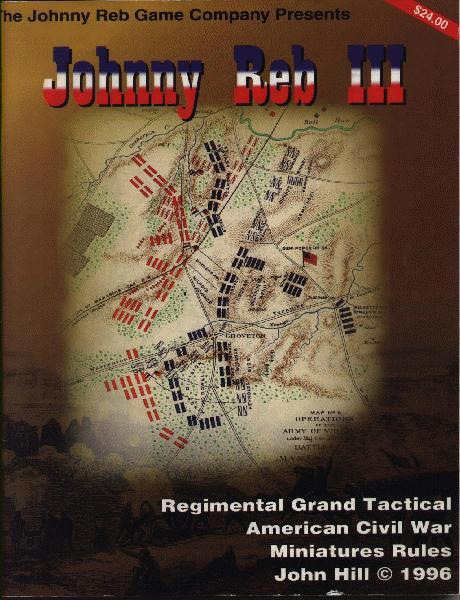 The rules were once again updated, modified, and enhanced in 1996 and released as Johnny Reb Three (often referred to as JRIII) published by the Johnny Reb Game Company. Supplements for Johnny Reb have been created by the author and enthusiasts for the rules. Enduring Valor. A Compilation of scenarios for war gaming the Battle of Gettysburg by Scott Mingus Sr.
Undying Courage. A Compilation of scenarios for war gaming the conflict at Antietam also by Scott Mingus Sr.
To the Sound of the Guns. 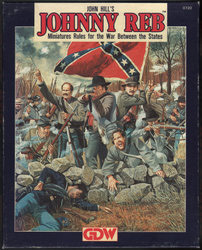 A publication containing numerous game scenarios by rules author John Hill and Dean West in support of Johnny Reb II, published by Game Designers Workshop. Battlefield Terrain Concepts strives to provide the most realistic and playable wargaming terrain. Scale Creep Miniatures A supplier for quality miniatures for use in war games. Some vistors to this page may not be aware of what Miniature Gaming is, or how it is played. Many people wonder if it is a form of computer game or a board game. It is neither of those. Wikipedia does a pretty good job of explaining the hobby here: Miniature Wargaming Defined by Wikipedia. Here is a game of Johnny Reb conducted at Cold Wars in Lancaster Pennsylvania.